5:45pm Kids Parade n/a just a few minutes Free! Cheers! All categories (except the Kids parade) must have USA Cycling (USAC) road license. Elite Women & Elite Men Awards Ceremonies to be held right after the Men's race. 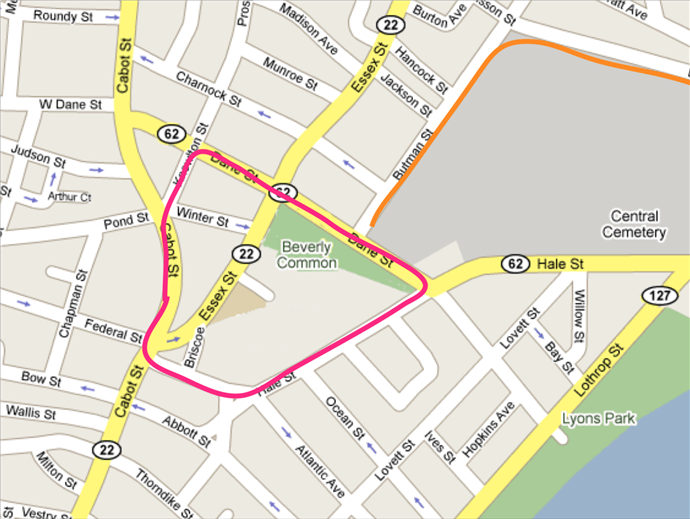 Click the map below to check out this Tim Johnson-designed course in downtown Beverly, MA!